Select “Set” then “Preview” at the top of the activity. 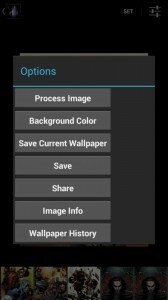 A new activity will appear showing: a preview pane; wallpaper set options; background color button; and processing options button. (First) Check Scroll: Standard option with all Home apps. 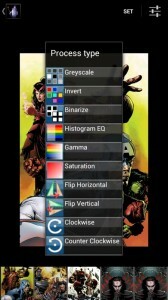 Which will allow for the default behavior with your home apps wallpaper settings. Normally this is scroll. 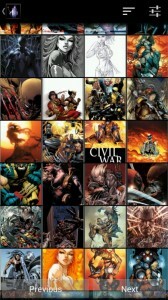 will expand or shrink any image to fit best within the display. Portrait images are measured by height and Landscape images are measured by width. If the image cannot scale to the exact dimensions of your display their might be some boarders around your image. In the example above these boarders are show as black unless you check them with the background button in the upper left hand corner. 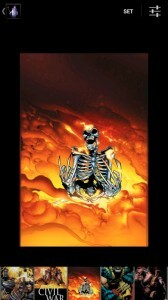 will expand or shrink any image to fit best within the display. Portrait images are measured by height and Landscape images are measured by width. If the image cannot scale to the exact dimensions of your display their might be some boarders around your image. This is the main window for WW. This is the window where images can be set as wallpaper. The icon in the upper left hand corner will take you to the directory view. 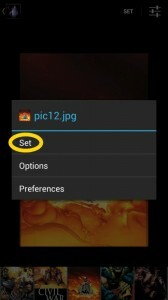 The “Set” button will display the wallpaper setting options. The upper right icon will display different options such as setting a background color, image processing (ex. Rotate image), Wallpaper history and other options. 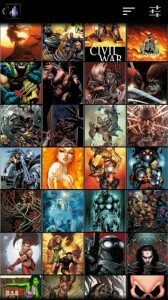 There is a scrolling gallery at the bottom as well to find an image. 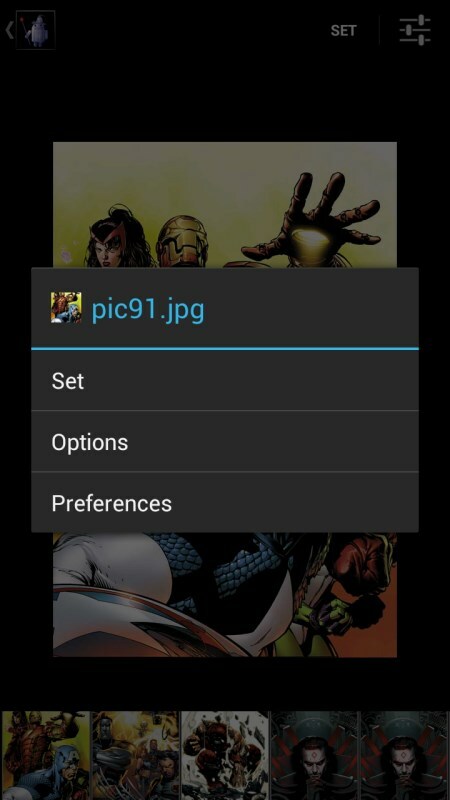 Long pressing a gallery image will give you image options for that image. Long pressing the main image will give you “Set”, “Options”, and “Preferences”. This is the menu dialog. 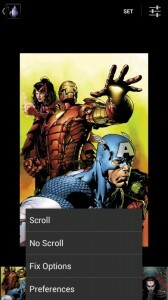 Scroll will set the wallpaper to scroll mode if and only if your Home App supports this capability. 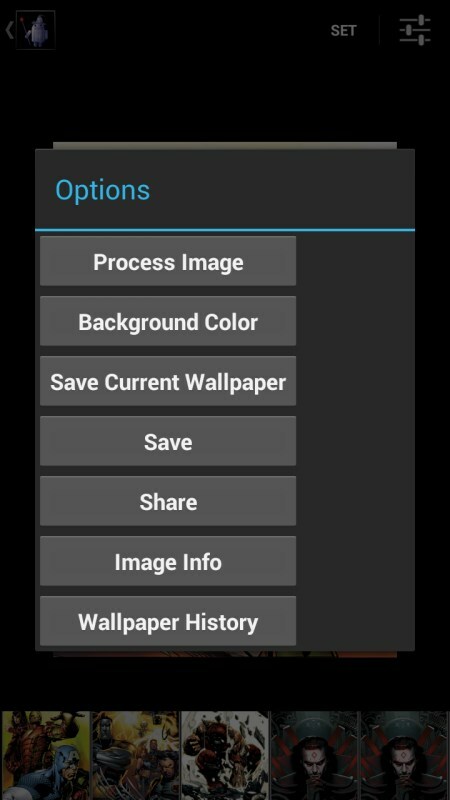 No Scroll will set the wallpaper to not scroll if and only if WW is compatible with the Home app you have set as your default. WW might work with unrecognized Home apps so feel free to try it. 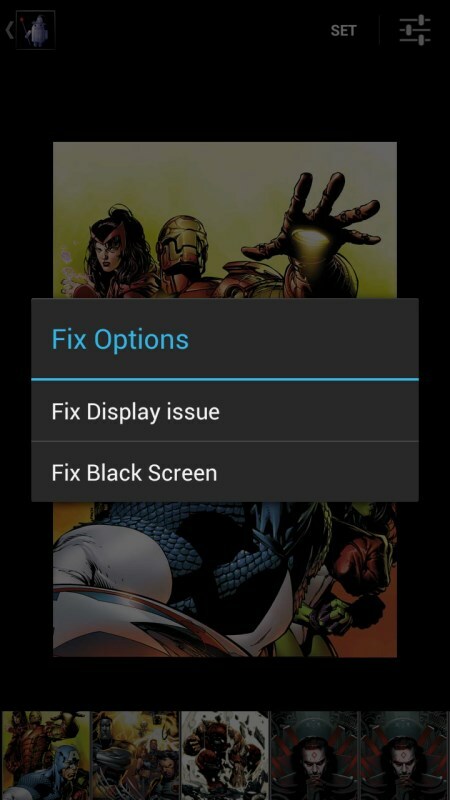 Fix Options – will show a dialog with Fix Display issue or Fix Black screen. Preferences will show WW’s application preferences. 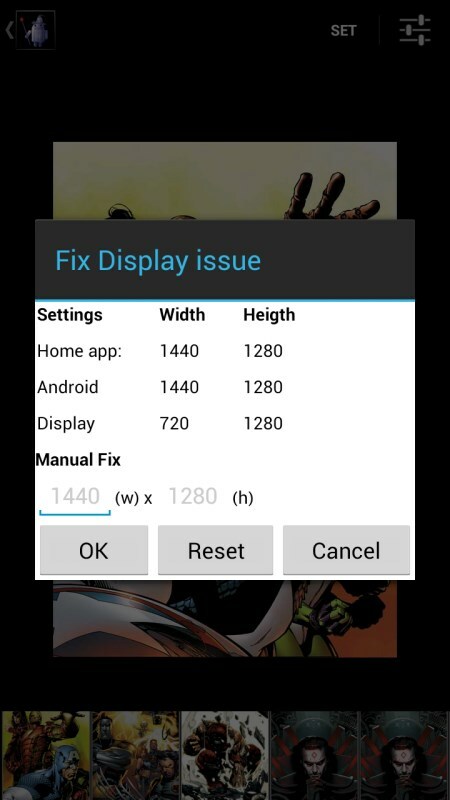 Fix Display Issue – When WW loses the Original Wallpaper dimensions determined by the Home application then options can help fix it. Fix Black Screen – There is a issue with Android’s Wallpaper manager. 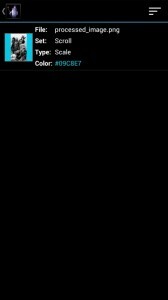 Sometimes when setting wallpaper a black screen appears, this should fix it. “Reset” – Will try setting to Scroll, and clear the default home app saved wallpaper dimensions from WW’s cache: NOTE you should reboot to make sure WW gets the right dimensions saved. NOTE: If you see red text as the dimensions then there might be an issue, so hit Reset and Reboot. 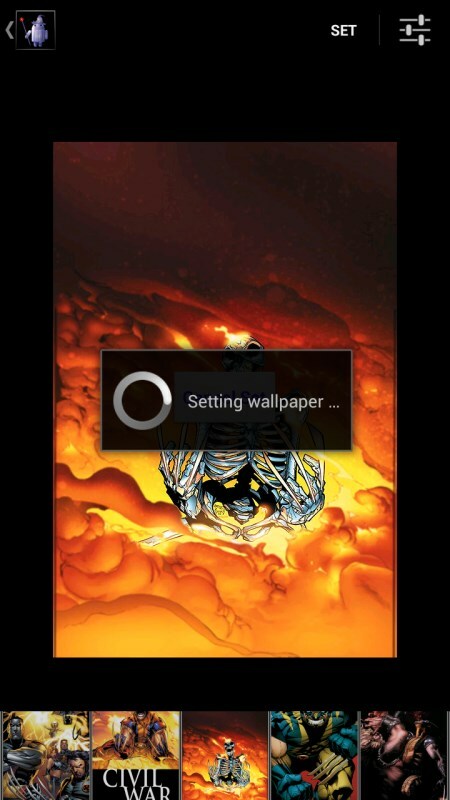 will determine if your wallpaper doesn’t scroll if this is checked. This only works well with compatible Home applications and not all Home applications are compatible. For example the default Home application for the SG3 device, “TouchWiz” doesn’t allow for scrolling wallpaper. Because of this you should not use this options with “Touch Wiz”. 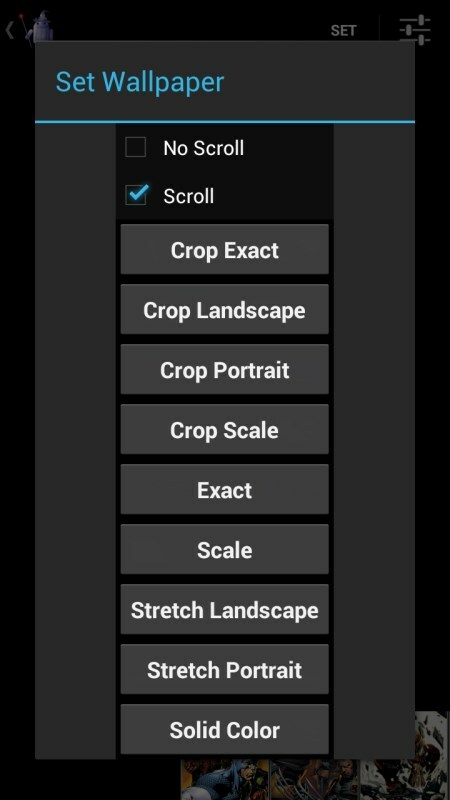 will allow for scrolling wallpaper if your home application allows it. This should be the primary option selected and should work with all home applications. will crop the image with horizontal and vertical control of the crop. 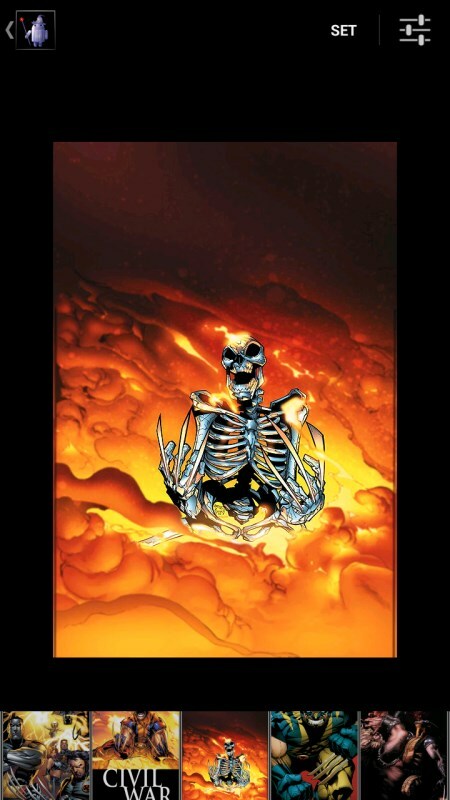 The image will be displayed the same as it would being displayed within the app. IE image is not scaled to fill up the display. will crop the image with proportional landscape. 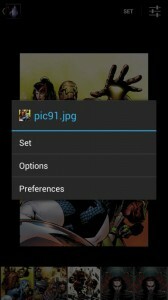 The image will be scaled up to fit the displayed as Android’s default. will crop the image with proportional portrait. 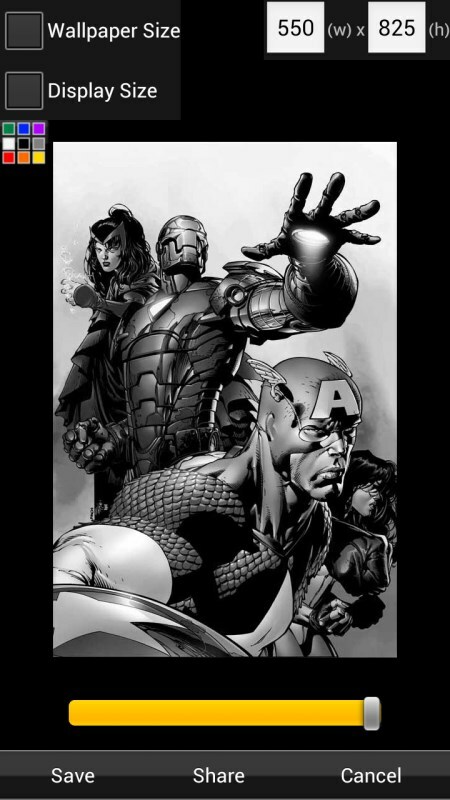 The image will be scaled up to fit the displayed with a background color to the left and right of the image. will crop the image with horizontal and vertical control of the crop. The image will be scaled up to best fit the displayed. 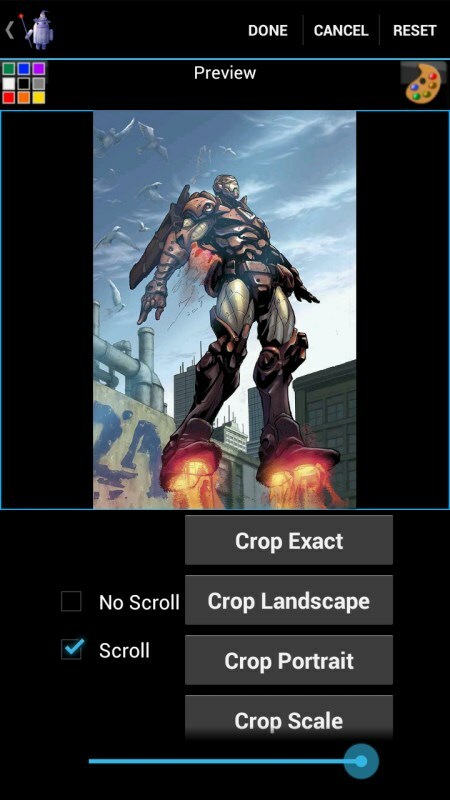 Image crop selection Portrait will scale up portrait, and Landscape will scale up landscape. will set the image as seen within WW. 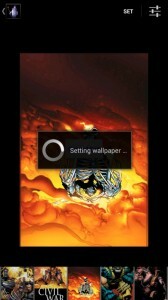 This means however you adjust the image in size via the Scroll bar will determine the Wallpaper look. Please note the scroll bar will only appear once you have selected this option. 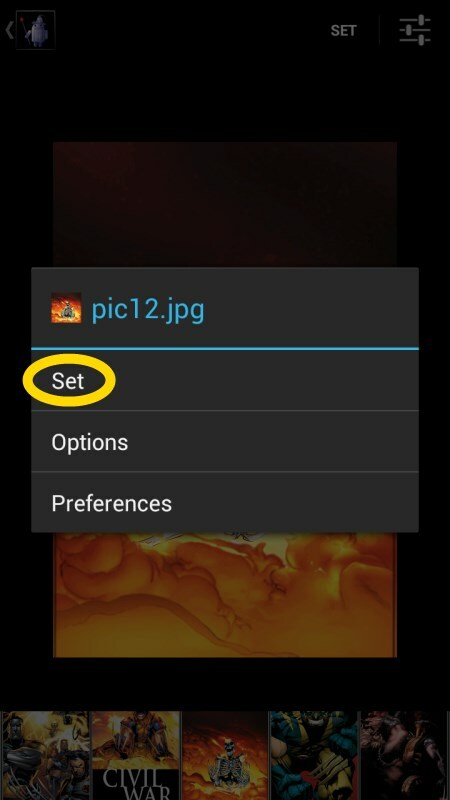 (Landscape or Portrait) will expand or shrink any image to fit exactly in the display. No boarders will be shown and image my not scale proportionately. IE why it’s called stretch. This will only set the background color. Background Color – will set the background color an image is overlayed on and used if the image cannot fill the complete display size. Save & Share – will bring up a new window to manipulate the image for sharing or saving to disk. 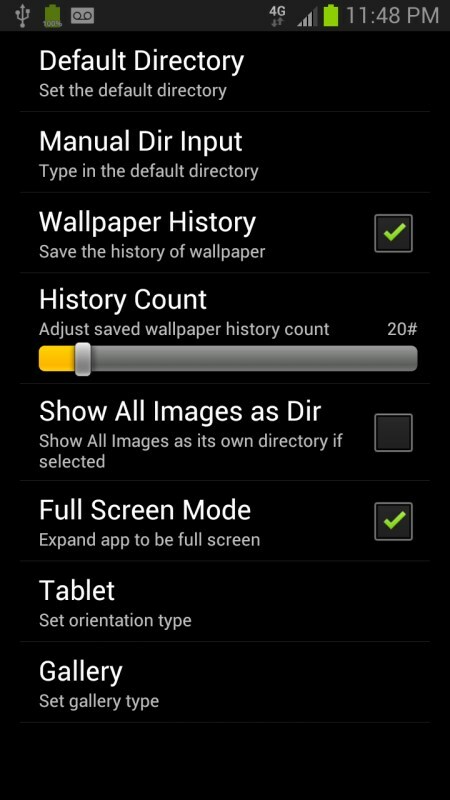 Wallpaper History – will show a history of images set which can be saved, re-set, or deleted. NOTE: Beta Options may not do anything if there are no current beta options available. NOTE: Image Quality and HD Image Size might cause WW to run out of memory, please use with caution. NOTE: The original image is not changed, a new image is created in memory from the selected image to process. 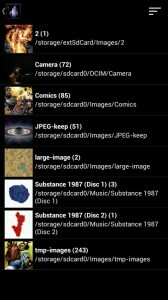 NOTE: WW finds images via the Android Mediastore database. 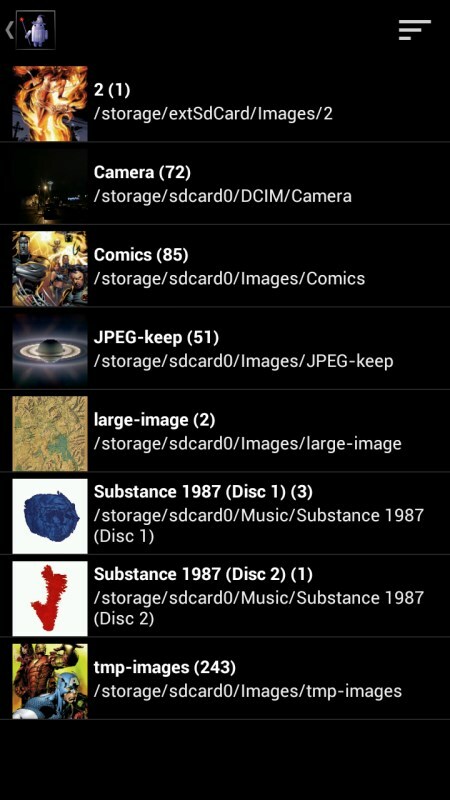 If there are images on your device, but the mediastore hasn’t been updated then WW will not be able to find them. 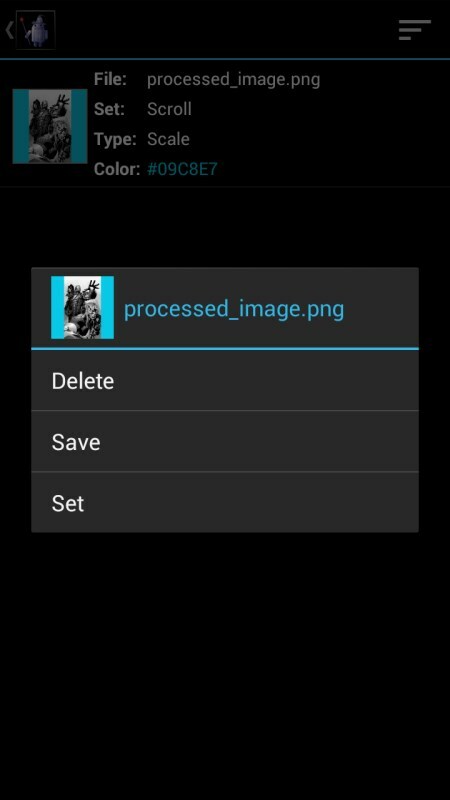 NOTE: Another app which knows of images on a device can choose to share image with WW. Doing this will enable WW to find the images later. Delete – this will deleted the directory and all of the images within the directory, only images are deleted not other files. 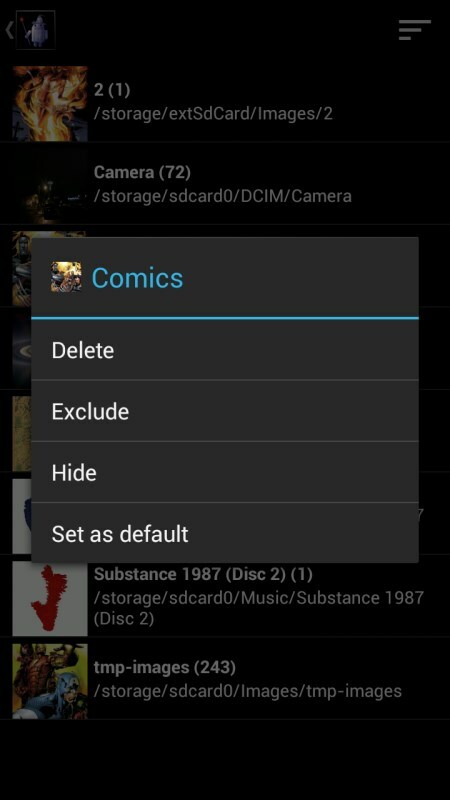 Exclude – this will hide/exclude the directory from being shown within WW. NOTE: Menu option can bring it back. Hide – this will add the .nomedia file to the directory; which normally makes it so the images will not be placed in the mediastore database. Set as default – this will make the directory the default directory. WW should start with this directory and this works with the widget. 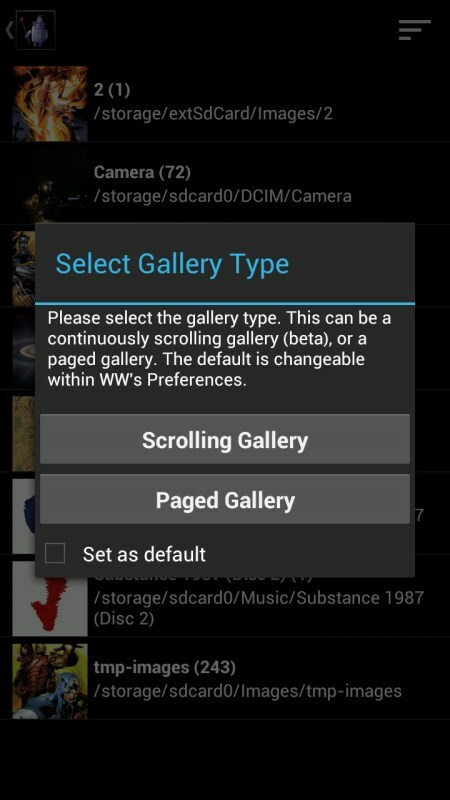 Selecting a directory will bring up the gallery selection if a default has not been set. Scrolling – will have one page of scrolling thumbnails which will fill in as scrolling takes place. 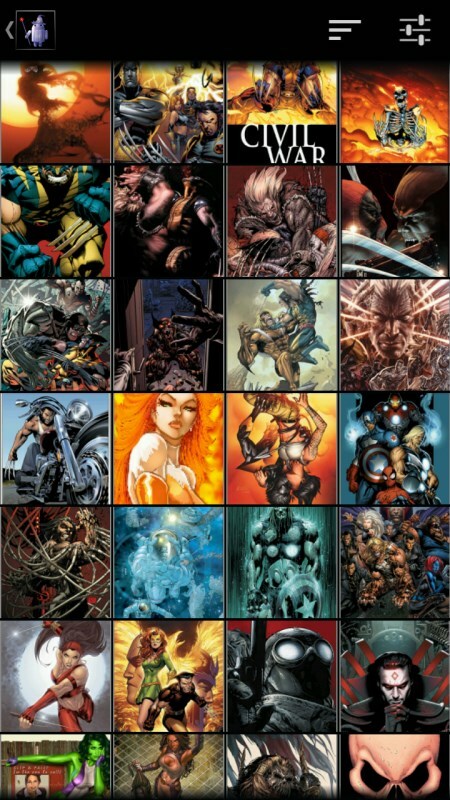 Paged – will show from 12-48 thumbnails. If there are more images then a “Next” & “Previous” button can be selected to go to the next page. 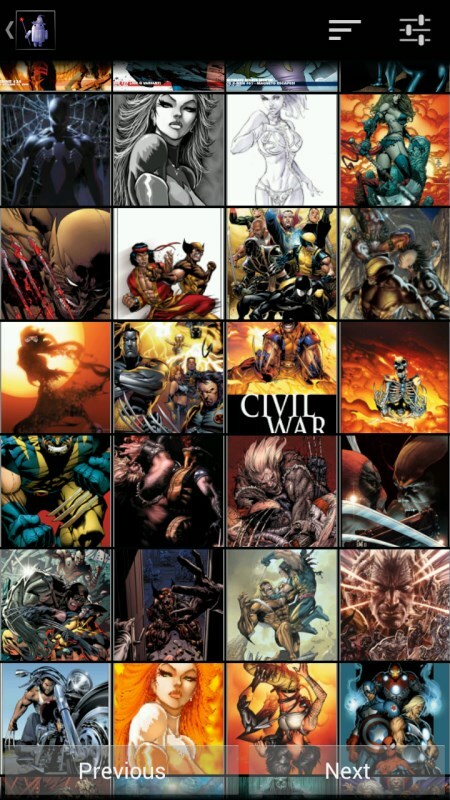 Thumbnails fill out all positions without the need for scrolling. 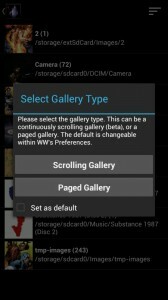 Paged Gallery; notice the button on the bottom to move to the next page. 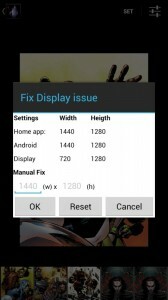 Play store Out of Memory with HD size set to 2560 Crop fixed. Work around in place otherwise a toast will appear to change the HD size. Google’s Admob indicated I had to update with their new SDK otherwise it would no longer work.